September is here, which means Fall is just around the corner, yay! It’s pretty crazy that the first month of my apprenticeship is done, God has been up to so many cool things already and I’m so excited for what is yet to come. Here are a few things that happened the month of August! During this time students new and old move-in to to their dorms and the campus puts on several kinds of events to get them involved with campus-life and to help them meet other students (hooray for friends). 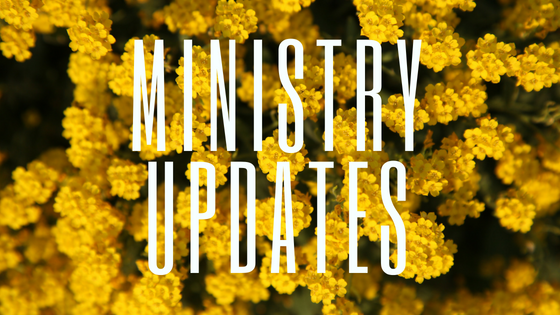 As a campus ministry FOCUS staff and students try to be present at all events to meet students and invite them to our organization. We also host events to invite those students to, this year we had a handful of events planned outdoors and although the rain called for adjustments to our plans this did not discourage our student leaders. We hosted multiple game nights indoors that lasted several hours and were a big hit, so many new faces and every new face was welcomed and included! Students during Welcome Week playing a super intense game of giant jenga! After over a week of fun events and meeting new students, our first Friday Night FOCUS was here and boy was it great! The room was filled with new faces and students ready to worship together and learn more about God. Like mentioned before our student leaders have been so great at meeting people and they were once again by getting them to Friday night! 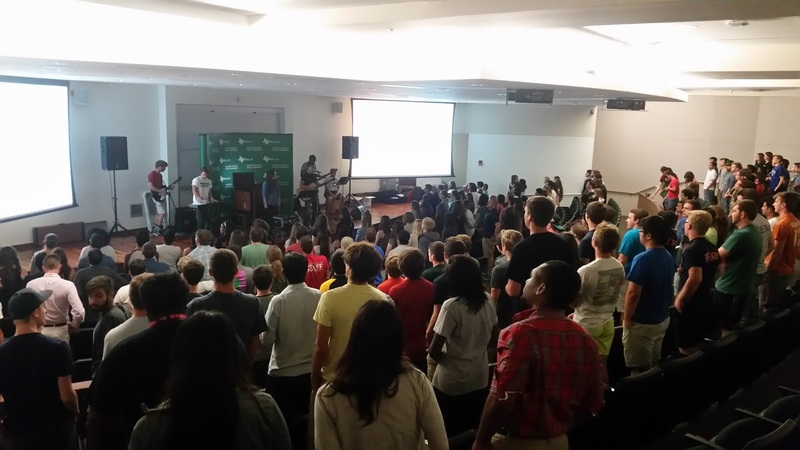 This was our first FNF at UTD, the room was packed with so many students! This week students started classes at Richland College and FOCUS was there to welcome them. 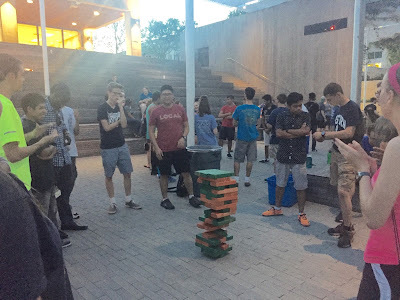 For two days this week, we organized games and handed out fliers to get them plugged in into our community. This Wednesday morning we had our FOCUS kickoff and I’m excited for our group and for us to grow together. 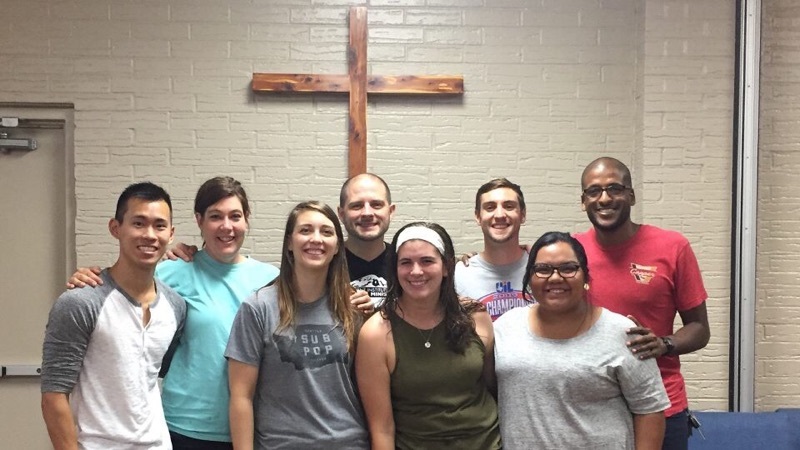 This community looks different from our UTD one because it’s a smaller school and FOCUS has been present only a few years, God has been incredibly faithful and has provided student leaders who are not only excited to be leading a core but to be doing it at Richland College! Although it has been a very busy few weeks filled with events and meeting people, I’m so excited to see the fruit of Welcome Week this school year. This is the time where some students for the first time will have a Christian friend and get to hear the Gospel, it is a time where our community gets to be a second home for those that have moved away from home and this is the time we are meeting the future leaders of our community! I’m incredibly honored to get to be working at these colleges and be used on these campuses! This week our student leaders began meeting for core and have also begun classes, please be praying that God builds good and deep relationships in those small groups and that there will be so much spiritual growth this year! Our theme for the school year will be Be Brave and as a staff we will be preaching through 1 and 2 Peter, please be praying that our students get so much from the upcoming sermons and learn how to Be Brave on their campuses! 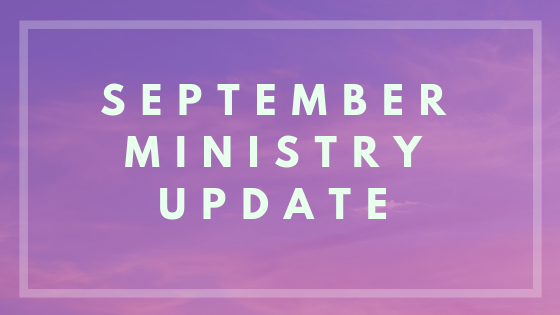 Pray as we continue to reach out to our students at both UTD and Richland College and that we will be able to make it a great school year for them. Thank you so much for your prayers and for getting to take part of what God is doing in Dallas! 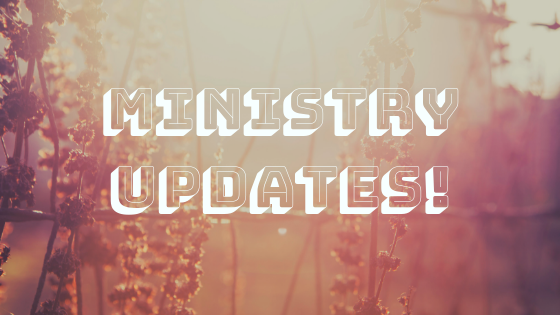 These posts are a way for you to celebrate with me for what God is already doing in our ministry and how cool that it has just started and more good is still to come! Wow, those UTD staff are such cuties! Haha! It looks like Welcome Week went so well for you guys in spite of the weather. I hope you met a lot of new Comets who are excited to join the FOCUS community. I also think it's so neat that you are reaching on on the Richland campus. They need to hear about Jesus, and I think you are just the person to tell them!